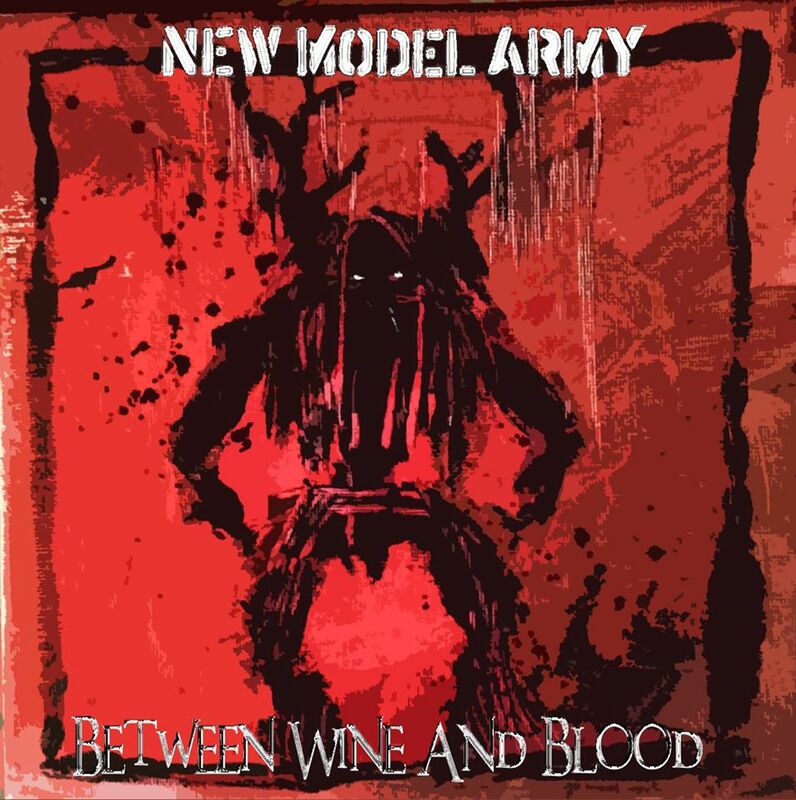 The latest album “Between Wine And Blood” is out now, can you tell us a bit about it please? 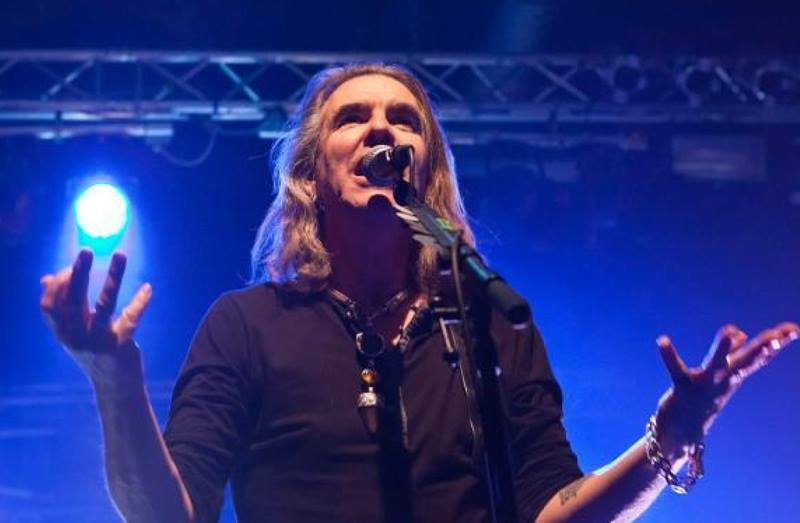 It’s a hybrid album – part live versions of 11 tracks from Between Dog And Wolf and part studio – featuring six new songs. Are there any central themes running through the new record? Not particularly. The new material is unlike BDAW because that was a true ‘album’ where the 14 songs were very much designed to hold together. 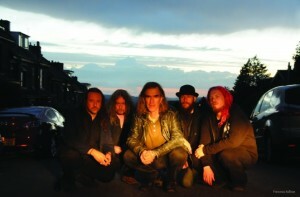 This is rather more typically New Model Army eclecticism from out and out rock to the quiet contemplative. In the recording stage, did you experiment with anything different on this album? 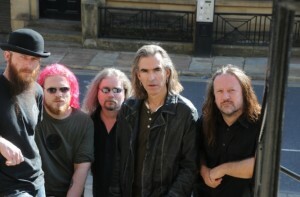 We were intending to break the mold of BDAW with more of a ‘performance’ aspect but because it was done while (and partly as a result of) Michael Dean’s health issues, which interrupted our touring schedule, we recorded it much I the same way as BDAW with drums recorded first on tape and then everything else recorded at our own place in Bradford before giving it to Joe Barresi to mix in LA. Is there any one song on there that really stands out for you personally? Angry Planet, Devils Bargain and Happy To Be Here – all for different reasons. How does the song writing process work in the band and has it always been this way? The way we tend to work is to have two cupboards. Into one goes “musical ideas’. This can be anything from anyone in the band – drumbeats and rhythms, a chord sequence, a guitar riff, a keyboard phrase, a bass-line, a band jam session, a vocal melody or just a sound – anything. Into the other cupboard goes ‘lyrical ideas’ which is the stuff that I’ve been writing in notebooks – ideas, stories, descriptions, feelings. Once both cupboards are brimming with ideas, it’s relatively easy (though sometime a lengthy process) to put together songs. In recent years this has mostly been done by myself and Michael but with contributions, suggestions and criticism from all members of the band. The mistake (we once made in the 90s) is trying to write together in the studio. This doesn’t work for us. It’s been only a year since “Between Dog and Wolf” What’s changed for you in this period and for the band? I know you’ve celebrated 30 years as a band and played shows, have you got any plans to celebrate your debut release “Vengeance” with any shows? We have been playing more songs from this era recently because they suddenly feel relevant both lyrically and musically but generally we’re surrounded by so much retrospection (as in the question) we don’t need to add to it ourselves by making a big deal of the past. It seems to be the current trend for many bands to play their albums in full. Is this something you’d consider? No – at least not old ones! Politics always seemed important within your music, are your beliefs still a strong to this day? Yes – though they’re tempered by time and experience. The world is a very different place now compared to 34 years ago when I started NMA. Justin, do you have any plans for more solo material at all? Yes but there never seems to be the time! Are there any plans to tour the new record in place? We’ll be off on tour in a week – though not in the UK. We’re doing a series of ‘special’ shows at Christmas including London and Nottingham where we’ll be doing two sets to include as much material as possible and also adding some guest musicians. What’s been the biggest buzz about being in New Model Army over the years? The music mostly. Again and again. Each new song/project carries the same excitement as the first as each is a new journey. And what’s been the worst moment? Oh lots of those too but let’s not dwell…. 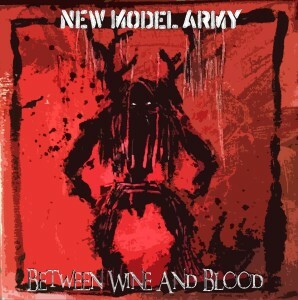 What do you think you’d be doing if you weren’t part of New Model Army? Probably feeling empty, miserable and frustrated. Do you get the chance to check much new music out? If so, what have you been listening to recently that you can recommend? My favourite album of the year (or was it last year?) would be Detroit’s “Horizon” album – Bertrand Cantat’s new project after Noir Desir and some years in jail. I really like Hindi Zahra’s “Handmade” album for sheer stoned-ness and also like a cool garage outfit from Bradford called Monsterjaw. I hear a lot of songs and tracks that I love but don’t always have the time to find out what they are or, if I do, the artist’s other material doesn’t always match up. But there’s tons of great music being made out there. Sadly so little of the best stuff is promoted and instead we’re all force fed the corporate garbage. Thanks so much for chatting with us, and one final question for you…Just how many times have the band been denied visas to play in the USA? Twice in the mid 80s (we never really found out why) and once in 2007 – that time our visa applications just got swallowed up in the chaotic bureaucratic aftermath of George Bush’s ‘War On Terror’ nonsense (which also happened to other non-US bands).